Verrin Kewenvoyouma is the majority owner and managing partner of Kewenvoyouma Law, PLLC, providing legal services exclusively to tribes, tribal entities, tribal agencies, and individual Indian business owners. Mr. Kewenvoyouma’s practice is generally focused on business transactions, however, it also includes development, economic development, finance, commercial transactions, business formations, government relations, gaming, water rights, and day-to-day general counsel services to Tribes. Mr. Kewenvoyouma formed Kewenvoyouma Law, PLLC in May 2010 and was also a Senior Attorney at a mid-size national Indian law firm. Mr. Kewenvoyouma has worked with over 40 clients on various Indian law matters in the capacity as special or general counsel. Prior to legal services, Mr. Kewenvoyouma was a Senior Associate with the State & Local Government Practice of KPMG, LLP. At KPMG Mr. Kewenvoyouma provided advisory, audit, and consulting services to tribes, tribal enterprises, state governments, and Fortune 500 companies. His experience at KPMG included program/ infrastructure evaluation, project management, healthcare planning and design, construction, and internal audit. 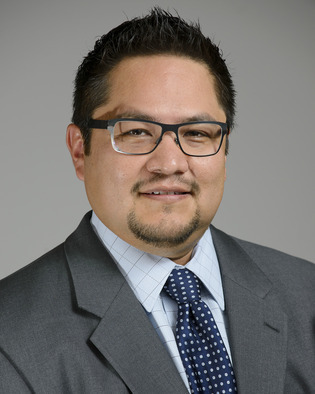 As a business and law student, Mr. Kewenvoyouma clerked for Arizona tribes providing services in the areas of economic development, land sales/transfers/acquisitions, vendor selection, water rights, commercial code development, housing, intergovernmental agreements, and business organizations. Through the Tribal Governments class at ASU law, he also developed a comprehensive Secured Transactions Uniform Commercial Code for a large land and population based Tribe in Arizona. Before business and law school, Mr. Kewenvoyouma worked with a national bank for 7 years, most notably in the roles of retail/branch management, market development, and commercial lending. Mr. Kewenvoyouma received his MBA from the WP Carey School of Business, Arizona State University and JD from the Sandra Day O’Connor College of Law, Arizona State University. Mr. Kewenvoyouma also holds a Certificate of Indian Law from the ASU Indian Legal Program. He is the Chairman of the Board for Native Home Capital, a non-profit CDFI dedicated to increasing parity in homeownership for Native Americans living on and off reservation in Arizona. He also currently serves as a board member for the Native American Alumni Chapter at ASU, other various boards, and provides pro bono and community based services to various tribes and tribal members. Mr. Kewenvoyouma is licensed to practice in the state of Arizona, the Tohono O’odham Nation, Hopi Tribe, Pascua Yaqui Tribe and is admitted pro hac vice in the Federal Court of the Southern District of California. He is Hopi and Navajo, member of the Navajo Nation.